# It is recommended to enable sufficient memory space within device. # The vantage point of VR contents varies according to the direction that the user is facing. As a result, refrain from passing the device to others while using application. 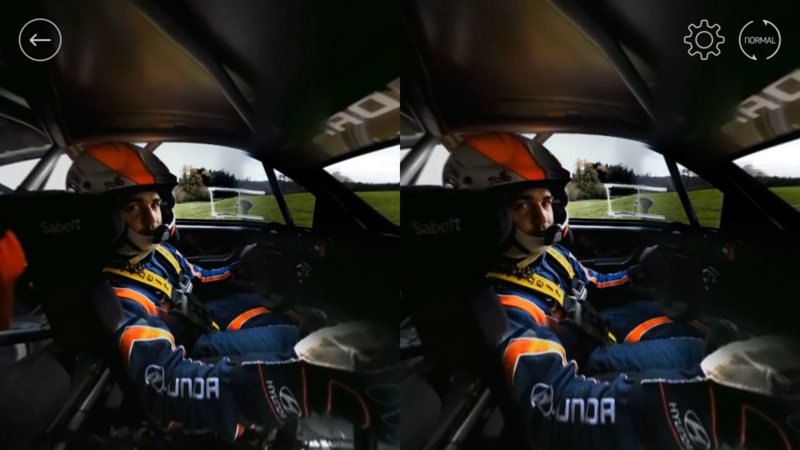 You can experience the dynamic driving of i20WRC in 360° virtual reality using various Cardboards and VR devices as well as VR Cardboard provided by Hyundai Motorsport. Ride in the co-driver seat of Hyundai Motor Company’s i20, which won at the German rally of WRC (World Rally Championship) 2014, and engage the realistic excitement of driving. 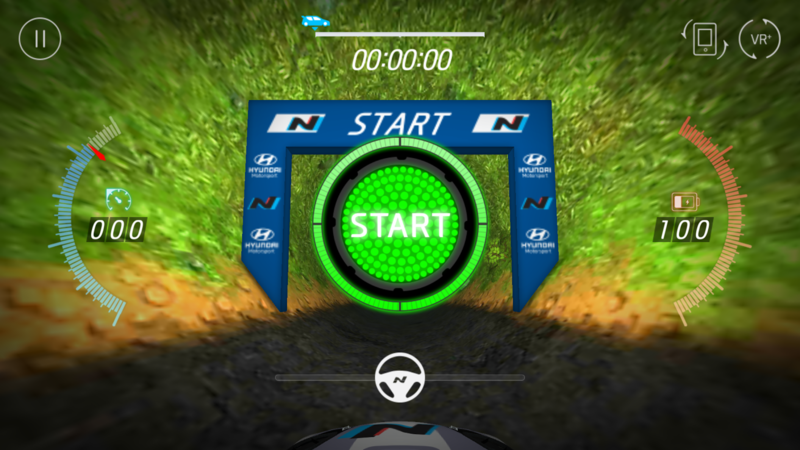 HYUNDAI VR+ has been developed to provide realistic driving experiences fans of motor sports by regularly updating WRC races held in 13 countries each year. This application is run in not only VR mode, which uses commercial HMD or Cardboard, but also general mode. 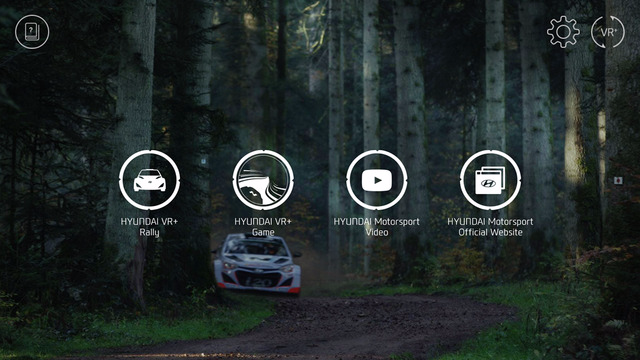 So, everyone can enjoy the driving videos of HYUNDAI i20WRC. In general mode, you can move by dragging and select menus by touching the device screen. In VR mode, gyro sensor is run to select menus according to the user’s eye movement. To return to the previous menu, tilt the smartphone by 90 degrees. So are you ready to immersively experience the driving performance of Hyundai Motor Company’s world rally car ‘i20WRC’? – To access VR contents using Cardboard, it is recommended to use a device with a display measuring 4.7 inch or larger.